Shopping for Frosty the Snowman Statues? 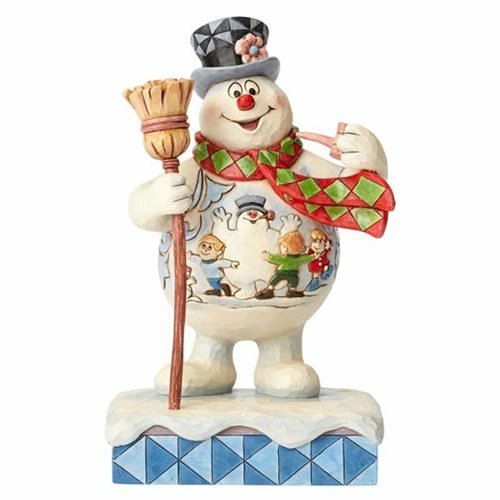 Inspired by the 1969 animated Christmas television special Frosty the Snowman, this amazing Frosty the Snowman by Jim Shore Frosty with Scene on Belly Statue features Frosty with broom and corncob pipe in hand. Plus, his front displays colorful images of the children! Made of stone resin, it measures 8-inches tall x 5 1/4-inches wide x 4-1/8 inches long.